The Department of Journalism Advisory Council is made up of local, state and national media professionals as a way for the department to communicate with various industries. Members of the Council twice a year (once each in the Fall and Spring semester) and meet with faculty, meet with students and work with the department on issues involving everything from curriculum to careers. To meet with members, please look out for emails from the department chair about upcoming visits. The following people are currently members of the Department of Journalism Advisory Council. Rachel Axon is an investigative reporter focusing on sports for USA TODAY. In her role as an investigative reporter, she has focused extensively on institutional response to sexual and domestic violence. Since joining USA TODAY in 2012, she has worked as a sports enterprise reporter and Olympic beat reporter, covering events from the BCS National Championship to the X Games and the Olympics in Sochi, Rio and Pyeongchang. Prior to working at USA TODAY, Axon spent nearly two years as the Gators beat writer for The Orlando Sentinel. In her first job out of college, she was a general assignment and high school sports reporter at The StarNews in Wilmington, N.C.
Axon graduated from St. Bonaventure University with a B.A. in journalism. She lives in Gainesville with her husband. Alejandra Cancino is an investigative reporter at the Better Government Association, a Chicago-based government watchdog group. She worked at the Chicago Tribune from 2009 to 2015 as a business reporter covering manufacturing, economic development and labor. Her 2015 labor coverage earned a local award for best business and consumer reporting. That same year, Cancino was awarded a journalism fellowship by the AP-NORC Center for Public Affairs Research at the University of Chicago. As part of the fellowship, she wrote about aging and health care for the Associated Press. 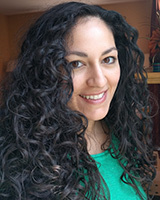 Cancino, a board member of the Chicago Headline Club, one of the largest chapters of the Society of Professional Journalists, earned a bachelor’s degree in journalism in 2007. Her first job after college was at a Spanish-language weekly owned by the Palm Beach Post. She is a former Alligator reporter and enterprise editor. Mark Caramanica is a partner at the law firm of Thomas & LoCicero in Tampa. He has represented a variety of national and local media (including, newspapers, television stations, television producers, book publishers, and authors), as well as major insurance and Fortune 500 companies. Mark’s litigation work focuses on media law, intellectual property, and civil litigation, primarily defending content producers against defamation and invasion of privacy claims, defending subpoenas served on journalists, and pursuing access to state and federal public and court records. 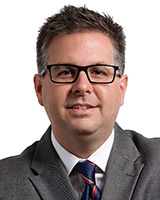 Mark also has experience in trademark registration prosecution, litigating PTO trademark opposition proceedings, cybersquatting and other Lanham Act claims, defending copyright infringement lawsuits, protecting online speaker anonymity rights, and prosecuting WIPO domain name disputes. Mark also has substantial experience in preventative counseling such as pre-publication review, newsgathering liability, responding to retraction/takedown demands, and intellectual property use issues. Prior to joining Thomas & LoCicero, Mark was an attorney at The Reporters Committee for Freedom of the Press, the nation’s leading legal advocacy non-profit organization serving free press and First Amendment interests. Mark received his B.A., M.A., and J.D. from the University of Florida and has taught media and telecommunications law classes within the College. He is a frequent speaker at journalism and media conferences and has been quoted in publications such as The New York Times, The Wall Street Journal and Pro Publica. He has also appeared on NPR and On the Media. During law school, Mark worked in the sports department of the Gainesville Sun. Technology journalist Bridget Carey is a senior editor at CNET. She is the writer and host of CNET Update, a daily news show that examines major trends, hot devices and new apps. She also writes for CNET Magazine. Carey regularly appears as a guest on national radio and television stations, including CBS, NBC, CNN, and CNBC. She also is a contributor to CBSN, the first digital streaming news network. Before joining CNET in New York, she wrote about technology and social media at the Miami Herald. There she produced weekly gadget reviews and wrote “Poked,” a column on social media and netiquette. She majored in journalism at the University of Florida in 2006 and was appointed Editor-In-Chief of The Independent Florida Alligator. She lives with her husband in Queens, New York. John Woodrow Cox is an enterprise reporter at The Washington Post. He previously worked at the Tampa Bay Times and at the Valley News in New Hampshire. In 2018, his series about the impact of gun violence on children in America was named a finalist for the Pulitzer Prize in feature writing. He is currently working on a book that will expand on his coverage. He attended the University of Florida, earning a bachelor of science in journalism and a master of science in management. 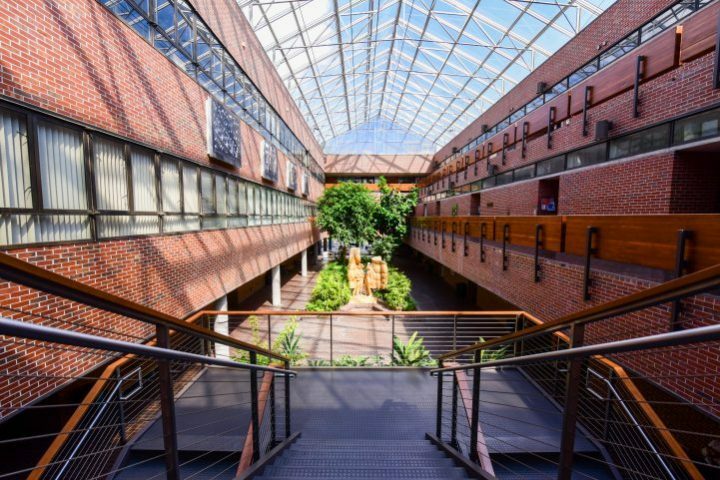 He won the Hearst National Writing Championship as a student and, after graduation, taught a course in narrative writing at UF’s College of Journalism and Communications. Jon Glass has served as Collaborative Media Room general manager at Syracuse University’s Newhouse School since 2007. He teaches the Web Journalism and Innovation course that focuses on current industry issues, social media, data journalism and multimedia storytelling. Also, Jon serves as executive producer for TheNewsHouse.com, a nationally recognized digital service for the SU community produced and managed by the leadership team in his Advanced Web Journalism course. 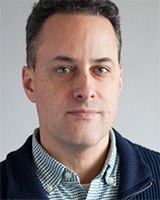 Prior to joining the Newhouse School, Jon was the online content director for PalmBeachPost.com, where he spent 11 years leading and developing award-winning digital products for the newsroom and online departments. Also, Jon worked as a news reporter at the Herald-Journal in Spartanburg, S.C., and helped launch the newspaper’s first website. Jon is a 1994 graduate of the University of Florida with a B.S. in journalism and minor in education. He spent his college career at The Independent Florida Alligator,including as editor-in-chief and the first Alligator.org online editor. Currently, Jon is working toward a master’s degree in geography at Syracuse for which his research focuses on understanding the spatial relationships between media companies and consumers. Connect with Jon at JonNGlass.com or@jonvibe. Reggie Grant is an Assistant Professor of Journalism at Tallahassee Community College and faculty adviser of the college’s award-winning student newspaper,The Talon. Prior to working at TCC, he taught media production for 11 years at Lincoln High School. Reggie has been nationally recognized for his innovative use of media in the classroom. 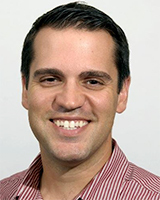 He worked as a full-time journalist for six years at the Sarasota Herald-Tribune and Florida Today. In graduate school, he worked as a freelance photojournalist for the New York Times Regional Newspaper Group and various other media outlets. He earned his master’s degree in journalism from Florida A&M University and his bachelor’s degree in journalism from the University of Florida. He is a proud Independent Florida Alligator alumnus. Amelia Harnish is a senior features writer at Refinery29, where she is responsible for producing longform and reported features on women’s health, reproductive rights, and gender equality. Before joining the features team, she was R29’s senior health editor. In that role, she helped manage the site’s health vertical by assigning and editing trending news as well as essays, service pieces, and reported health features. Prior to Refinery29, Amelia held positions at Health and Ladies’ Home Journal magazines. Her writing has appeared various places including, The Daily Dot, Nautil.us, and The Hairpin. It has also been syndicated by Time.com and ABC News. She graduated from the University of Florida in 2010. Irvin B. Harrell, the current Coordinator of Strategy and Marketing for the College of Health Sciences at Old Dominion University, has been a journalist for more than 25 years. He received his Bachelors of Science in Journalism from the University of Florida in 1989 and is currently working on his Masters at Old Dominion University. Harrell has worked at several newspapers, many of them in Florida. The Tampa Tribune, Tampa Bay Times, South Florida Sun-Sentinel, Detroit News, The Virginian-Pilot and the St. Louis Post-Dispatch are among the newspapers where Harrell has worked. Harrell has held a variety of jobs: writer, copyeditor, assistant photo editor, music writer, assistant news editor, assistant city editor, political editor, assistant business editor, director community outreach, newsroom recruiter, as well as urban and suburban editor. He has been a longtime member of the National Association of Black Journalists, the National Association of Hispanic Journalists and the Society of Professional Journalists. He served as President of the Greater St. Louis Association of Black Journalists for nearly five years. He also served as Vice President for Programming for the St. Louis Press Club and was a board member for several years for the Missouri-based Diversity Awareness Partnership. Harrell joined the advisory board about two and a half years ago. 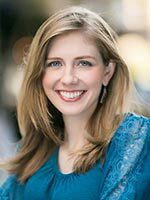 Kim Hart is Technology Editor at Axios, overseeing coverage of the intersection of business, technology and policy. Before joining Axios, Kim was press secretary to Federal Communications Commission Chairman Tom Wheeler (in the Obama administration). Prior to the FCC, Kim was Corporate Communications Director at Neustar, a Virginia-based technology company. Kim was senior technology reporter and editor at Politico, where she was the first author of the Morning Tech daily newsletter and helped launch Politico Pro. She also started the “Hillicon Valley” blog at The Hill, focusing on tech policy. She started her career as a business reporter for the Washington Post, where she covered national technology and telecommunications in addition to the Washington, D.C.-area start-up and venture capital scene. She has taught feature writing at Georgetown University and reporting at George Washington University. She studied journalism and public relations at the University of Florida and has a masters of journalism degree from the University of Maryland. 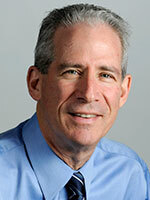 Rick Hirsch is managing editor of The Miami Herald, where he has worked as a reporter and editor for 35 years. He is responsible for day-to-day oversight ofThe Herald’s news content in print and on digital platforms – desktop, tablet and mobile. He played a key role in the news organization’s shift into digital news and video, as well as the launch of its collaboration with WLRN-91.3 FM that is known as the WLRN-Miami Herald News. He also supervises newsroom training and recruiting. Prior to moving into digital journalism in 2003, Hirsch served in a variety of editing and reporting roles, including managing editor of the newspaper’s Broward County edition, and city editor. In Miami, he has supervised The Herald’s coverage of local government, public and private schools, and played a key role in coverage of Hurricane Andrew and its aftermath, which won a Pulitzer Prize. As a reporter, he specialized in government, politics and urban affairs reporting. He’s also served a two-year term as a Pulitzer Prize juror. 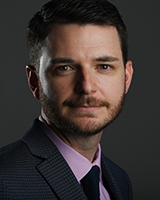 Hirsch is past president of the Florida Society of News Editors, a member of the Florida International University Student Media Board, past chair of the University of Florida’s Department of Journalism Advisory Council, and a University of Florida alumnus of distinction. Boyzell Hosey is deputy editor for the Tampa Bay Times, overseeing photography and multimedia. 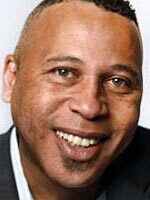 During his 20-year career at the Times, Boyzell has served as photojournalist and picture editor. 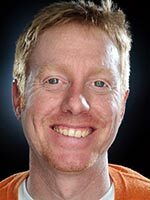 He is responsible for managing a staff of more than a dozen award-winning photojournalists and coordinating visual coverage for major news and sporting events which have included, Super Bowls, political conventions and hurricane disasters. In 2015 Boyzell won a regional Suncoast News Feature Emmy for his editing role in the multimedia piece “Long Road Out.” In addition to their own award-winning work, his staff of accomplished visual journalists have been instrumental contributors of compelling documentary visuals for the Times’ most highly recognized bodies of work. Born and raised in the Shenango Valley of western Pennsylvania, Boyzell is a graduate of Ohio University and the Art Institute of Pittsburgh. He has been a staff photographer for The State newspaper in Columbia, South Carolina and the Lima News in Lima Ohio. Boyzell started his photographic career in the mid ‘80s as a commercial photographer and as director of photography for the Manchester Craftmen’s guild, an arts apprentice training program for inner-city youth in Pittsburgh. 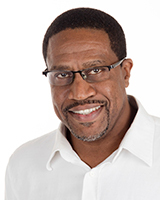 Boyzell serves on the University of Florida’s Journalism Advisory Council and is a board member of the St. Petersburg College Photographic Technology Advisory Committee. 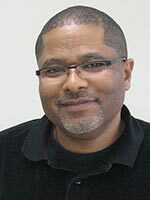 He is a past chair of the NABJ Visual Task Force and is currently serving a two-year term as a national judge for the Scripps Howard Visual Journalism competition. Boyzell is deeply rooted in his community, serving as a mentor for Men in the Making, a mentorship program for minority adolescent boys and leading a program to teach multimedia skills to youth at his church. He sits on the board of the Jim & Heather Gills YMCA of Greater St. Petersburg Community Advisory Committee and In 2017 he co-founded and became president of the Tampa Bay Collard Green Festival, a non-profit organization providing community education awareness centered around urban agriculture, culinary experience, fitness and family fun. He and his wife Andrida, an arts magnet middle school drama teacher, reside in St. Petersburg. They have 2 adult children and 3 grandchildren. Beth Kassab is a senior columnist at the Orlando Sentinel. She writes about education, transportation, politics, co-existing in Central Florida’s suburbs with bears and coyotes and many other topics. Beth is a rare Orlando native who joined the Sentinel in 2001. She covered local government and the court system before moving to the Business Desk to cover tourism and aviation. 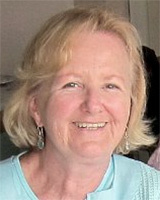 She wrote the Sentinel’s business column before starting a local column in 2011. Beth won first place in digital innovation from the Florida Society of News Editors in 2014 for her series “Central Florida’s Other Best Downtown.” She has appeared on CNN, MSNBC, NBC Nightly News and FOX-Channel35. Beth graduated from the University of Florida with a degree in journalism. She lives in Oviedo with her husband and two young children. Her column runs in the Sentinel every Tuesday, Thursday and Saturday and is featured on OrlandoSentinel.com. Jacki Levine is editor of Gainesville Magazine, a bi-monthly city magazine published in conjunction with The Gainesville Sun. Levine served as managing editor of The Sun, where she was responsible for the day-to-day operations of the newsroom, from 1998 until 2012. Among the honors of which she is most proud are the two The New York Times Company Punch Sulzberger Awards for Achievement in Editorial and Community Services presented to teams of which she was a member: 2003, for the creation of Gainesville Magazine, and 2007 for the Sunrise Project. Levine graduated with a Bachelor of Science degree in journalism from the University of Colorado in Boulder and a Master of Arts in journalism and communications from the University of Florida College of Journalism and Communications. 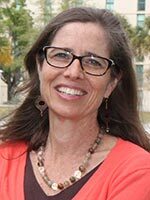 She is a board member and the immediate past president of the Florida Magazine Association, on the leadership committee of Gainesville’s Women’s Giving Circle, a member of the Women’s Forum and current chair of the University of Florida’s Department of Journalism Advisory Council. Strategic thinker, editor, experience architect, operations specialist. Em is a high-energy collaborator who leads by inspiration and invitation. 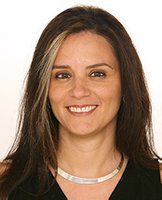 From journalist to junior executive, Em was named Cox Media Group Editor of the Year in 2005 for creating La Palma, the Post’s first Spanish publication. She then helped launch Ideabar into a viable new marketing consultancy for CMG. With nearly two decades in media, Em works closely with colleagues across the newsroom, revenue and audience divisions to increase collaboration and drive change. A ’98 University of Florida J-School grad, Em leads The Palm Beach Post newsroom by driving the change to a digital-first operation. 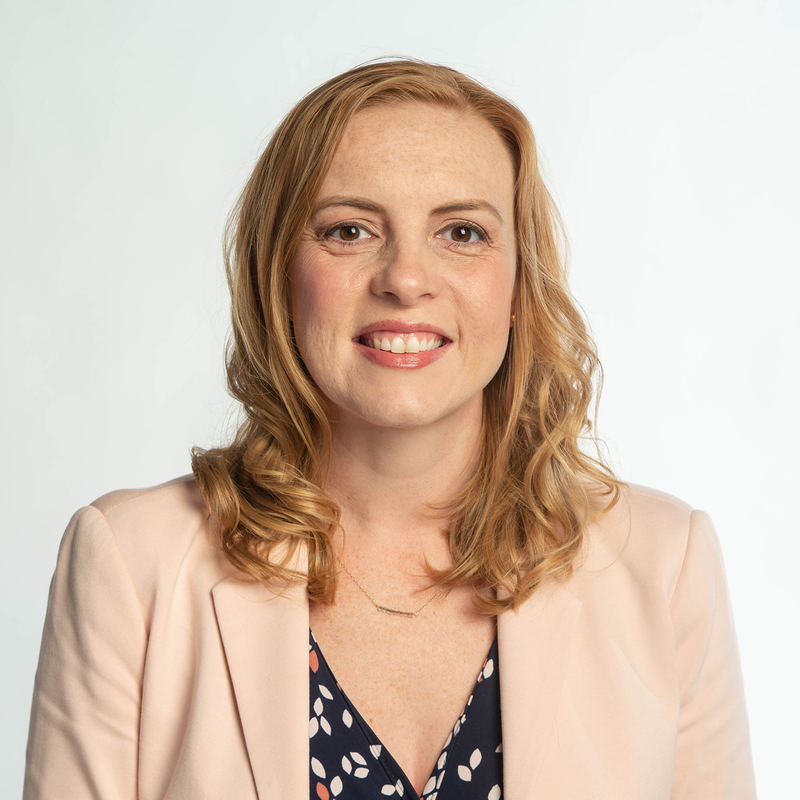 As the Digital Newsroom Business Manager, she works to facilitate cultural shifts and drive opportunities for engagement and revenue in legacy, social and emerging platforms. She’s a proud member of the Leadership Palm Beach “Most Philanthropic Class” of 2018, an IDEO certified brainstormer, a Landmark graduate and a notary public. Ashley Ross is a senior editor at Women’s Health online, editing health and fitness content. 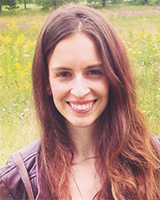 Previously, she worked on the web team for TIME, overseeing audience engagement and editing and writing about culture. Her work has appeared in The New York Times, Marie Claire, Cosmopolitan, SHAPE, Country Living, Us Weekly and more. Danny Sanchez is a Senior Product Manager at USA Today Network, where he builds digital products and experiences for USAToday.com and more than 100 of the network’s local news sites. He previously spent more than 12 years at Tribune Publishing in various roles, including lead digital editor, product manager, web developer, online producer and reporter at the South Florida Sun Sentinel, Orlando Sentinel and the formerly integrated Hartford Courant and WTIC-FOX CT. Danny is a former Alligator metro editor and proud 2006 graduate of the UF College of Journalism and Communications. Anne Saul is a retired journalist, having spent most of her career at Gannett newspapers and on the corporate staff where she was systems editor and coordinated computer-assisted reporting and video storytelling training for Gannett newsrooms before her 2009 retirement. Saul is a graduate of the University of Florida College of Journalism and Communications and a 1993 Alumna of Distinction. Her career took her from reporting at the Pensacola News Journal, the Orlando Sentinel, and TODAY (now FLORIDA TODAY) in Brevard County where she later became City Editor and Managing Editor. 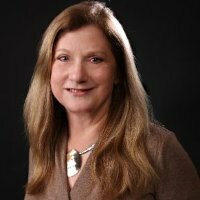 Anne joined the USA TODAY startup team as news editor in 1982 and later Gannett News Service managing editor/South, following which she served three years as executive editor at the Pensacola News Journal before joining the Gannett corporate staff. She is a member of the Online News Association for which she coordinates a fellowship program for early-career digital journalists. She has served on the CJC Department of Journalism advisory council for more than 25 years, including two has chair in 2011-12. An Irish émigré, Saul enjoys traveling in Europe – and especially to Ireland where she has many relatives. She lives in Alexandria, Va. where she serves on the boards of her homeowners association and community garden advisory board. She is an avid gardener and grows many of her own vegetables. 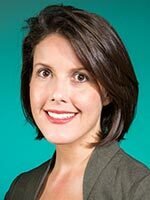 Since arriving at Tampa’s NPR affiliate in 2013, she has worked as a reporter and as editor of the Health News Florida journalism collaborative for NPR stations in Tampa, Miami and Orlando. In the past 20 years, she’s told the stories of retired pro athletes in chronic pain, children poisoned by toxic toys, and seniors who nearly overdosed on prescription drugs. 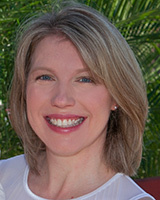 A 1990 graduate of the University of Florida’s College of Journalism and Communications, her work at The Tampa Tribune and TBO.com, Florida Today and the Gainesville Sun have been honored by professional organizations including the Society of Professional Journalists, Associated Press Sports Editors, and the Florida Society of News Editors. Chuck Tobin, a graduate of both UF’s College of Journalism and Communications and College of Law, is a partner in Ballard Spahr’s Washington, D.C., office. 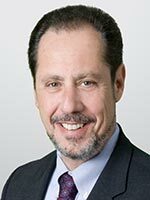 He co-chairs the law firm’s Media and Entertainment Law Practice. Tobin defends journalists’ and the public’s First Amendment rights in libel, privacy and FOIA litigation in state and federal courts around the country, and he counsels newsrooms and web operators on editorial content and advertising. He has conducted seminars for journalists at hundreds of television stations and newspapers. Prior to joining his law firm, Tobin was an in-house counsel at Gannett Co., Inc., which publishes USA TODAY and owns newspapers and television stations throughout the country. Before law school, he was a reporter for the News-Press in Ft. Myers, FL. Tobin is a past Chair of the media law committees of both the Florida and District of Columbia bar associations, a past Chair of the American Bar Association Forum on Communications Law, and a past Editor-in-Chief and current Senior Editor of the journal LITIGATION. He is consistently rated by Best Lawyers, Chambers USA, and Washingtonian as one of the top First Amendment and media lawyers in the country. Derek Willis is a news applications developer at ProPublica, focusing on politics and elections. He previously worked as a developer and reporter at The New York Times, a database editor at The Washington Post, and at the Center for Public Integrity and Congressional Quarterly. He began his journalism career at The Palm Beach Post. He is a co-founder of OpenElections, a project to collect and publish election results from all 50 states. Melissa Young is a front-end engineer for Vox Media, where she works on ad products and technologies with a focus on improving the state and quality of advertising on digital platforms. Before Vox, she developed advertising solutions and products for Gannett’s flagship publication USA Today and more than 100 regional media organizations in the company network. Prior to entering national media networks and the revenue world, Melissa worked as a web developer, online producer, social media editor and technology blogger at The Fayetteville Observer in Fayetteville, North Carolina. She graduated from the University of Florida in 2008 with a B.S. in journalism and a B.A. in English and currently lives in northern Virginia with her husband and twin toddler daughters.